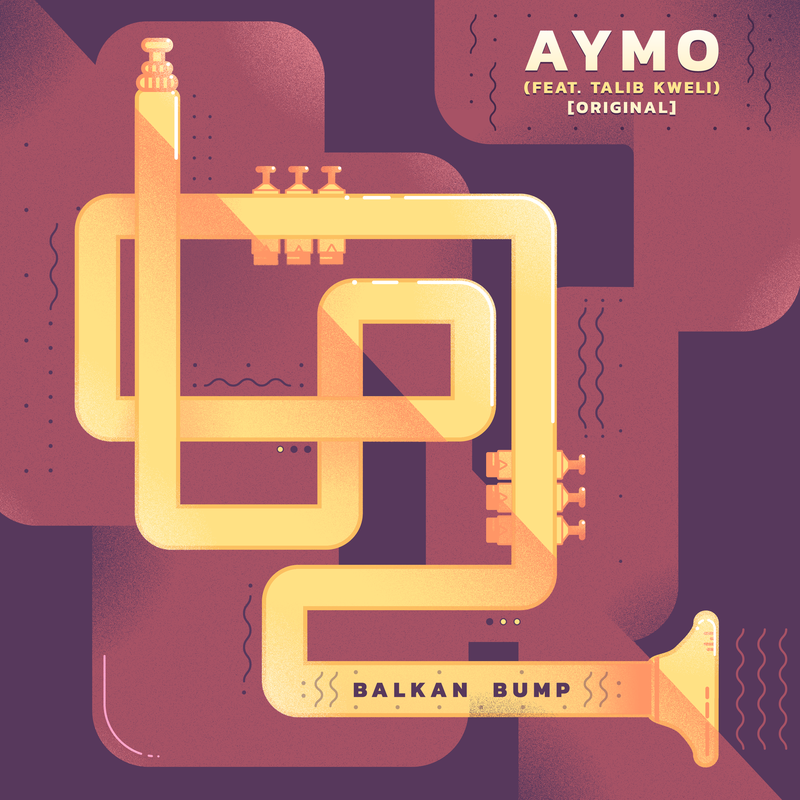 Uncategories Balkan Bump & Talib Kweli Release New Single "Aymo"
Balkan Bump & Talib Kweli Release New Single "Aymo"
Balkan Bump is the newest project from trumpet player, producer and ethnomusicologist Will Magid. Balkan Bump launched to an unexpecting audience in late 2017 with his debut track “Aymo” alongside superstar collaborators Gramatik and Talib Kweli. Finding an affinity based in his own Balkan roots, Gramatik has championed the new project; debuting Balkan Bump’s first live performance at Gramatik’s anticipated NYE show at Terminal 5; taking Balkan Bump’s live show on the road for the Spring 2018 Re:Coil tour; and releasing Balkan Bump’s debut EP via his Lowtemp label imprint. Musically, Balkan Bump is a fusion of live instruments, world influences and lush electronic production. His debut EP flaunts experience as an instrumentalist and arranger, fusing energetic Balkan brass with heavy electronic production and hip-hop/trap influences. As fans of Balkan Bump and Gramatik already know, “Aymo” is the track they collaborated on and was first released back in November of 2017 on Gramatik’s “Re:Coil Part I” EP. The track was originally written by Will and Talib Kweli whom he met when they were playing alongside Pretty Lights on The Conan O’Brien show. It was then presented to Gramatik who loved it so much he wanted to put his own spin on it. Now his independent label Lowtemp will also provide a home for Will’s first EP under the Balkan Bump moniker, out in early March. In December, Will released the first single from the upcoming EP, “Irfan," that got a heavy rotation in the blogosphere and received high praises for it’s refreshing sound. The original version of “Aymo” featuring Talib Kweli is the second single off of the heavily anticipated release and it packs just as much of a punch as the previous two singles. Keeping with the theme of the self-titled EP, this one is, of course, also focused on one particular region in the south-eastern part of Europe where brass bands reign supreme on the local folk scene. Will Magid has an incredible ability to submerge himself into a different culture and come up with an interesting and fresh take on the old traditions. And this single is no exception.